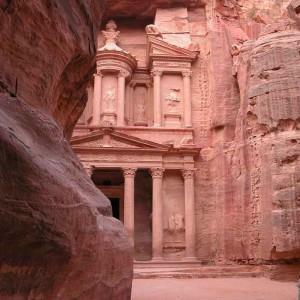 We believe that tourism in Jordan is absolutely vital for the national economy as well as national development. Petra constitutes an asset to be exploited for Jordan, which is why NAMA Strategic Intelligence Solutions proudly partners with The Catholic Center for Studies and Media for the project of making the documentary of “On the Road to Petra” available in Arabic. This outstanding documentary tells the story of how Johann Ludwig Burckhardt a Swiss explorer discovered Petra for the first time ever in 1812, produced by Alberto Castellani, an Italian director and filmmaker, who produced two documentaries about Petra. Given the importance of this documentary for tourism in Jordan, NAMA decided, in partnership with CCSM to translate the documentary into Arabic, in a voice-over form. The dubbed documentary will be shown in Jordan’s theatres, fully in Arabic, once it comes out.